This post is the first in a series about the Thatcher Glass Collection project. 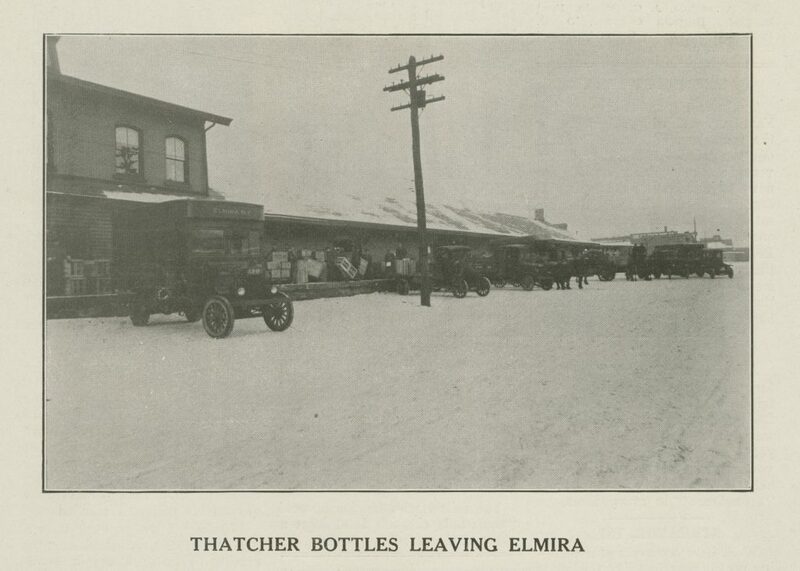 The Thatcher Glass Manufacturing Company, in Elmira, N.Y., made glass milk bottles, glass jars, and other glass products. Thatcher Glass started in Potsdam, N.Y., and built their largest plant in Elmira in 1912, although they had several plants around the United States, including in Pennsylvania, Illinois, and Ohio. While working on this project, I have been fortunate to see many unique items in the collection. 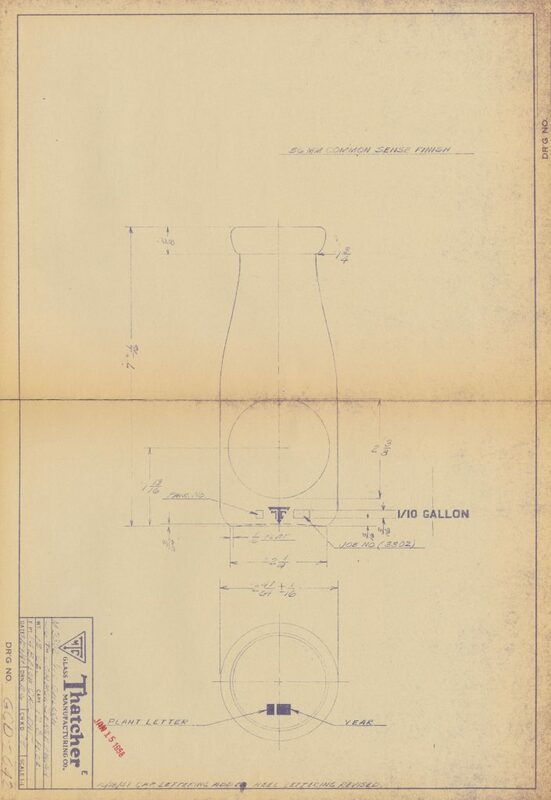 As I have sifted through drawings and memorandums written by people who knew Thatcher Glass best, I realized that, even though I grew up in this area, I was one of those people who had no idea Thatcher Glass existed. I now think of Thatcher Glass as an old friend whom I cannot wait for you all to meet as we continue to share more highlights from this collection! Read more about this project on the Chemung County Historical Society blog. The Rakow Research Library and the Chemung County Historical Society have partnered to catalog and digitize the Thatcher Glass Manufacturing Co. Collection. The collection is part of the Booth Library at the Chemung County Historical Society. This project is supported in part by the South Central Regional Library Council’s Regional Bibliographic Databases and Interlibrary Resources Sharing Program. Tagged: Archives, Chemung County Historical Society, Christina Baker, Elmira, Library, library collection, milk bottles, SCRLC, Thatcher Glass Manufacturing Co. So excited to find this research going on for Thatcher’s Glass. My father worked there from the 50’s until he retired, sometime in 80’s I believe. Very interested in this article. My maiden name was Thatcher. My father’s relatives came over from England and opened a glass factory in New Bedford/Fairhaven, Ma called Thatcher Bros. Glass. They had developed and patented a diamond finish for their products. It was destroyed in a fire and in doing my geneology I lost track of the brothers from there. One “story” is that one member of the Thatcher brothers went to New York and worked or had something to do with Corning. I am wondering if there is any connection with the research you are doing. Hi Jody – The Chemung History Museum holds the original Thatcher collection. We suggest contacting them for information: archivist@chemungvalleymuseum.org. Good luck!